There will be pasta filled with potatoes served at the Sagra del Tortello Mugellano e Bistecca Fiorentina, a homemade stuffed pasta and steak festival which will be held north of Florence, in Scarperia. For three days (Friday, July 3 – Sunday July 5) in Scarperia’s via San Martino 16, in the square next to the church of SS Jacopo e Filippo, visitors are welcomed to a hearty helping of this local dish, with several meatier options staying warm on the grill. 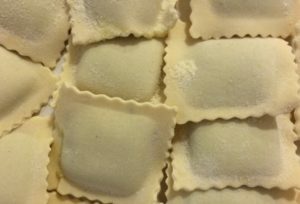 A Tuscan grandmother’s specialty, tortello is similar to ravioli but is usually filled with potatoes especially in Mugello, due in part to their flourishing in the local soil. In fact, the prevalence and bounty of potatoes after their introduction to Italian farms in the 1800s inspired this modification of this traditional recipe. During the weekend, the pasta will be stuffed with a mix of mashed potato cheese, garlic, and parsley. Other typical options include spinach, and various herbs. Butter, Parmesan cheese, and sage are often included on top (or if not, are strongly recommended) when eating. To complement the pasta, freshly grilled bistecca alla fiorentina will also be available. Chianina cattle is used for this thickly cut T-bone, often seasoned with black pepper, salt, and olive oil for a mouthwatering meal. 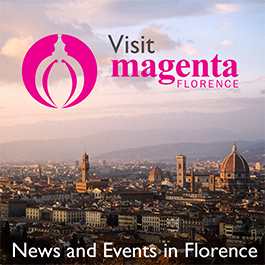 The festival is in historically rich Mugello, an area to the north west of Florence divided into nine municipalities. Borgo San Lorenzo is the biggest and most central of the area. with a fittingly large and rich history. Scarperia, sharing a border with and being just a few miles away from Borgo, also enjoyed medieval economic prosperity; however, when the Futa carriage road was constructed in the mid 1700s, a majority of traffic was diverted towards other towns. It is still well known for the hand made knives its craftsmen produce, but Motomondiale, a prominently popular motorcycle circuit, is perhaps its best claim to fame.